I am so excited for my blogger buddy, Tarah Chieffi from What I Gather, for her wonderful new cookbook, The Everything Paleo Pregnancy Book. Tarah not only creates realistic and beautiful recipes, she tackles morning sickness, cravings, exercise, and overall health during your pregnancy. This book will take you beyond pregnancy…the recipes will easily become family-favorites with Grilled Pesto Steak, Fruity Avocado Ice Pops, Sweet Potato and Bacon Hash, and more! 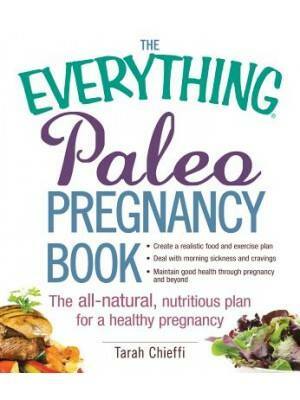 The following recipe is from page 141 of the The Everything Paleo Pregnancy Book, by Tarah Chieffi (What I Gather). Copyright ©2015 by F+W Media, Inc. 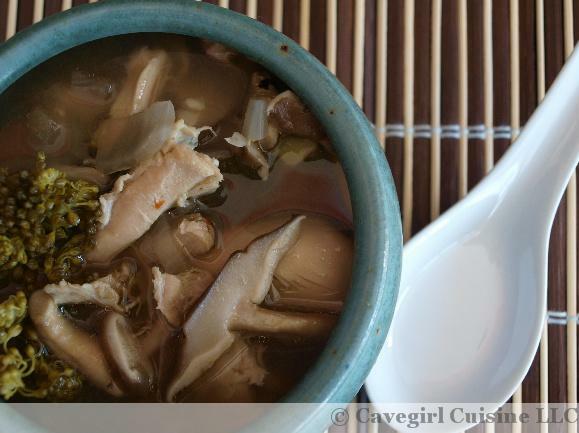 This was the easiest soup I’ve ever made ~ thank you slow cooker!! Just for fun, I subbed shiitakes for the button mushrooms listed. The red chili flakes give this soothing bowl a nice little kick! Add all ingredients to slow cooker and stir well to combine. Cook on low for 6-8 hours.